Gaelforce West is still the original and the most unique adventure race in Ireland – the event that everyone wants to complete with many returning to do it again and again! 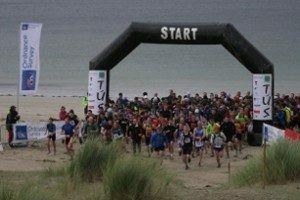 Take on a 67km linear course starting at dawn on Glassilaun beach in Connemara and ending in Westport town. This is a personal journey which will see participants crossing the line triumphant, and with a huge sense of achievement. Cycling, running on trails, kayaking across Killary Fjord and climbing Croagh Patrick are all part of this incredible journey. Taking you along part of the Wild Atlantic Way this is a fantastic way to see the most remote, rugged and unspoilt areas of the west coast of Ireland. There is only one distance so everyone completes the same course – it is a huge challenge and requires training and effort. For more details or to take part, please see event website.